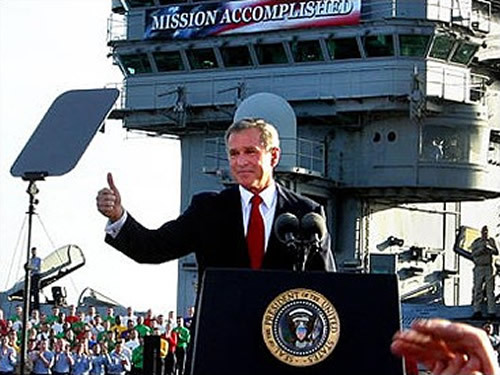 If I were to say "Mission Accomplished", I would feel a little like like this guy. The major construction is over and we're moving in tomorrow, but the loft is far from finished. We'll be living in what is technically a construction site for a while. Updates (AND PHOTOS!) to follow.